The chairman of Algeria's Constitutional Council Tayib Belaiz quit his post on Tuesday, state news agency APS said, following calls for his resignation by pro-democracy protesters who say he is part of a ruling elite they want abolished. President Abdelaziz Bouteflika stepped down on April 2 after weeks of mass protests for his 20-year rule to end. 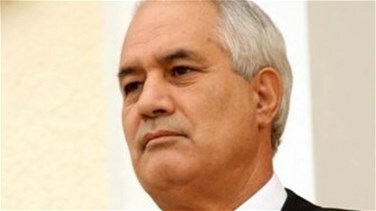 But his departure has failed to placate many Algerians who want to topple the old guard and its associates. Bensalah is another senior political figure who protesters want to see removed. He was appointed interim president after Algeria's army chief declared Bouteflika unfit for office and said the military would back a transition period leading to a presidential election on July 4. But protesters want radical change that will introduce sweeping political reforms Algeria, an OPEC oil producer and major supplier of natural gas to Europe. Hundreds of students in Algiers broke through rows of riot police and streamed to the city center on Tuesday calling for the resignation of Bensalah, witnesses said. Shouting "No to Bensalah", the students waved Algerian flags as hundreds of riot police stood by. The protests, which began on Feb. 22 have been largely peaceful. Thousands of students marched in other cities too such as Bouira, Boumerdes and Tizi Ouzou, according to witnesses. "Our pressure will continue until all demands are met," said 25-year-old student Mourad Dimi. Protesters want the removal of an elite that has governed Algeria since independence from France in 1962 and the prosecution of people they see as corrupt. Last week, army chief, Lieutenant-General Ahmed Gaed Salah, said he expected to see members of the ruling elite close to Bouteflika, who he called a "gang", prosecuted for corruption and said he would support a transition toward elections. The army initially monitored the unrest from the sidelines. Then Salah intervened, declaring Bouteflika - rarely seen in public since suffering a stroke in 2013 unfit to rule.